Our S2 Dynamics Audi service center is the prime destination for all maintenance and repairs for your vehicle. Our highly skilled Audi technicians are on staff and ready to service your vehicle with services ranging from tune-ups and oil changes to full transmission and engine rebuilds in Rockville, MD. S2 Dynamics is your Rockville Audi service and performance shop. We have Audi mechanics you can trust. Education and experience make our technicians among the best to be found anywhere. You can be confident that we'll use only the best Audi performance parts and brakes and will be honest and fair when it comes to Audi service costs. You want to keep your Audi in top condition, so it’s important that that the service center you rely on is staffed with Audi specialists and is a place you can go and know they'll look after all your car's needs and keep it running at top performance to extend its life expectancy. Never get stuck in an Audi auto repair bind in the Washington, D.C., metro area again! S2 Dynamic’s Audi service center is here to serve drivers from Maryland, DC, and Northern Virginia. Schedule an online appointment today. Whether you’re driving in a new Audi A3, A4, A5, A6, Q5, Q7, S3, S4, S5, A8, or a used Audi, we will have it running like it’s fresh off the assembly line. Our Audi repair and maintenance center, conveniently located at 12058 Parklawn Drive in Rockville, MD, is on hand for all of your service needs. From routine to the unanticipated, we have you covered. In need of an oil change? Tire rotation? Regularly scheduled maintenance? Check engine light on? Don’t waste another minute and give us a call or fill out our contact form. Our service advisors at S2 Dynamics will get in touch to confirm an appointment, and, before you know it, you’ll be back on the road in your Audi! 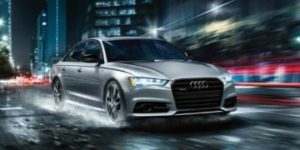 S2 Dynamics is considered one of the best places for servicing your Audi in Rockville. Our customer reviews demonstrate our commitment to customer service excellence. At s2Dynamics, our mission is to provide our valued customers with unmatched Audi repair. We provide exceptional servicing, performance, and repairs for all Audi models including the Audi A3, A4, A5, A6,A7, RS7 Q5, S5, S3, S4, S5, S6, S7, TT, A8, and more. INSPECT: BRAKE SYSTEMCheck for damage and leaks. Check thickness of pads and brake fluid level. S2 Dynamics can replace your Audi's engine oil with high performance LIQUI MOLY oil and additive products. We can provide expert advice on the right oil to take your Audi to the next level. 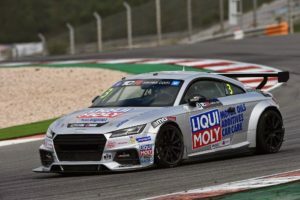 See why LIQUI MOLY is the right choice for your Audi. Schedule Audi service or call 301-881-1283. If you need additional help.